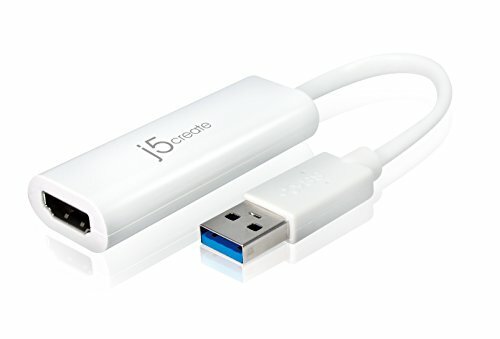 The JUA195 USB 2.0 Display Adapter acts as an external graphics card for your PC. It allows you to add an additional HDMI monitor/display through your USB 2.0 port. No need to open up the computer to add an expensive graphics card, with the USB 2.0 Display Adapter you simply load the drivers, plug in the adapter to the USB port, then plug in the HDMI monitor cable into the adapter and you are ready. The JUA195 supports three viewing modes. Primary mode, allows you to have individual applications open on each monitor, vastly improving productivity. Extended mode allows you to extend your desktop across multiple displays, great for spreadsheets. Mirroring mode is used to clone one screen onto another, ideal for presentations. With "Plug & Play" functionality between your computer and 2nd monitor or projector, you will be able to create a new visual environment in seconds.